This is Sam Smith from the United States, I am the purchase manager. Our company is a newly formed American corporation located in Philadelphia, PA that designs, markets and sells premium bicycle brands through a distribution network that reaches 80 markets around the globe. We operate with two distinct divisions, a wholesale arm, Advanced Sports, Inc. and a retail arm, Performance Bicycle. 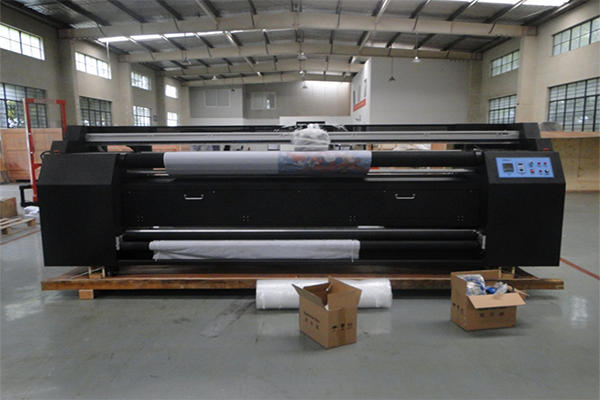 This year our company intended to do printing on stretch polyester fabric, so we did many research on ALIBABA and we found Shanghai WER Company, we reached an agreement on the 1.8m sublimation printer, it can print on our material directly without use sublimation paper, what is more, the machine equips with heater, it can dry the heat by itself, no need to buy another heat press machine, very convenient! Since now, we have used the machine for more than one month, it is a good machine, so far WER has not disappointed me! To maintain high standards for print quality, Sam uses only WER sublimation inks. “WER inks are true to the color. They provide the color and durability our actions required,” said Sam. In addition to fabric, Sam prints on Weave or knit cotton, dacron, flax, silk, polyester, cashmere, towel etc.